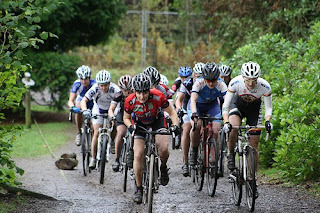 The expected rain held off (almost) all day for an exciting day of racing at Mugdock Country Park. 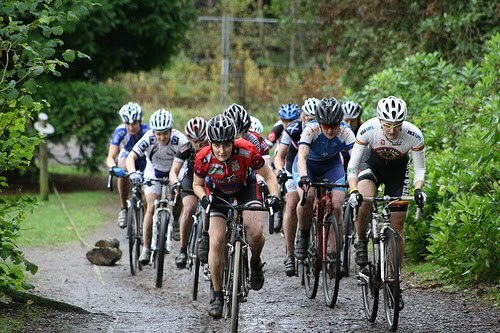 Over 270 riders braved the mud to take part in the 3rd round of The Tri Centre Scottish Cyclocross Series hosted by Glasgow Mountain Bike Club. Full race 3 results are here. In the penultimate race of the day, the vet mens race took place on a well churned up course, but this didn't get in the way of some very close racing. Mechanicals and punctures forced a few sprint finishes on foot that would put Ussain Bolt to shame! Full race 4 results are here. Full race 5 results are here. With all the racing completed and all the podium places set, there is only one other result to announce - The Alpine Bikes Fastest Lap of the Day.....goes to Calum Macgowan. Congratulations, Calum, you win a £50 Alpine Bikes voucher. Email your address to us and we'll stick your voucher in the post. That just leaves a big thank you to say to everyone who took part today - invaluable volunteers and enthusiastic racers - all contributing to a fantastic day of racing. 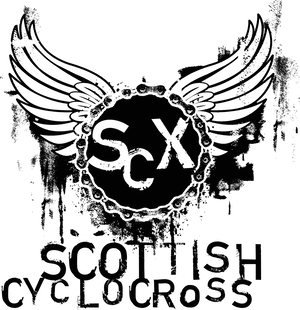 Also, if you have any queries or corrections around the results please email scottishcyclocross@gmail.com. fast results and a great course, gets better all the time. Sign on was really fast too, a great day after the killer mud at Plean!